On this page, you will find proposals surrounding issues related to undocumented students and parents, refugees, and asylees at colleges and universities. 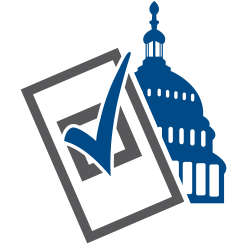 For immigration issues proposals from the previous session of Congress, visit the Legislative Tracker Archive: Immigration Issues. NASFAA Analysis & Coverage: This bill would prohibit institutions of higher education that receive federal financial aid from discriminating against a Dreamer student because of their immigration status. This bill would protect these students from discrimination as it relates to admissions, financial aid, and tuition rate. The bill also prohibits any officer at an institution of higher education from using the information about a students immigration status to arrest or detain the student. To prohibit an alien who is not in a lawful immigration status in the United States from being eligible for postsecondary education benefits that are not available to all citizens and nationals of the United States. NASFAA Analysis & Coverage: This bill would prohibit students without a lawful immigration status from receiving financial aid benefits that are not available to all United States citizens.